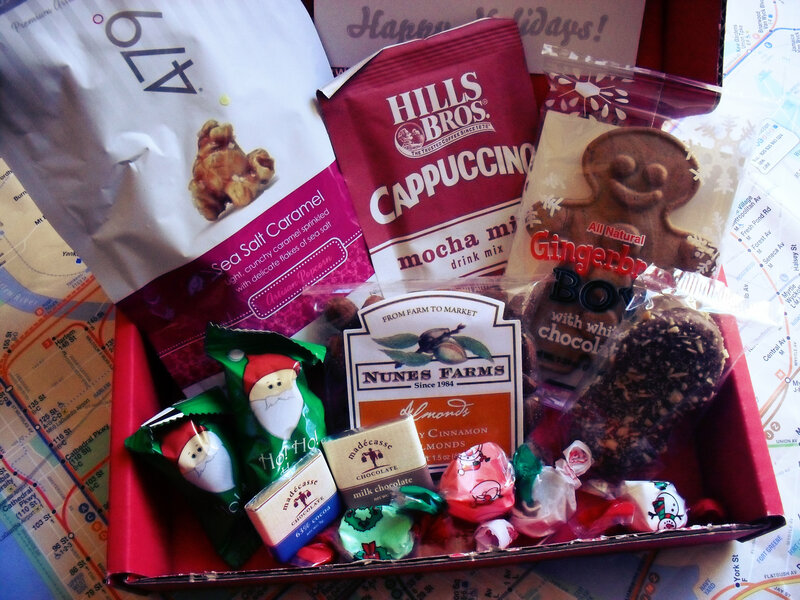 I was super happy to receive my December Love with Food box! Love with Food was so on the money this month- I even ended up discussing LwF and their December box in the middle of a twitter party the other day. Suffice it to say, LwF has many fans in the twittersphere. So here’s what was in this month’s box: Honey Cinnamon Almonds from Nunes Farms, Holiday Salt Water Taffy from Taffy Town, Belgian Milk Chocolate-Dipped Nutter Butter from the Big Chocolate Dipper, Candy Cane Truffles from Kara Chocolates, Mocha Mint Cappuccino from Hills Brothers, Gingerbread Boy from Nikki’s Cookies, Chocolate Tasting Squares from Madecasse, Fleur de Sel Caramel Popcorn 479 Popcorn. Now I totally get that the Honey Cinnamon Almonds from Nunes Farms is a simple treat – but oh boy did those almonds pack some seriously yummy flavor. They seriously tasted like a warm bowl of cinnamon oatmeal or avena (a Hispanic version of oatmeal). I definitely see myself buying these in the near future, and would gladly swap in these almonds as a healthy breakfast alternative! My younger brother (Shawn) ate up all the salt water taffy, and he’s a super picky sweets eater – so they must’ve been amazing! I was not a big fan of the chocolate tasting squares from Madecasse, maybe it was just the one that I tried – it didn’t have a lot of chocolate flavor and felt like it was high in cocoa butter. However, my older sister loved the squares so I’m willing to give Madecasse the benefit of the doubt. 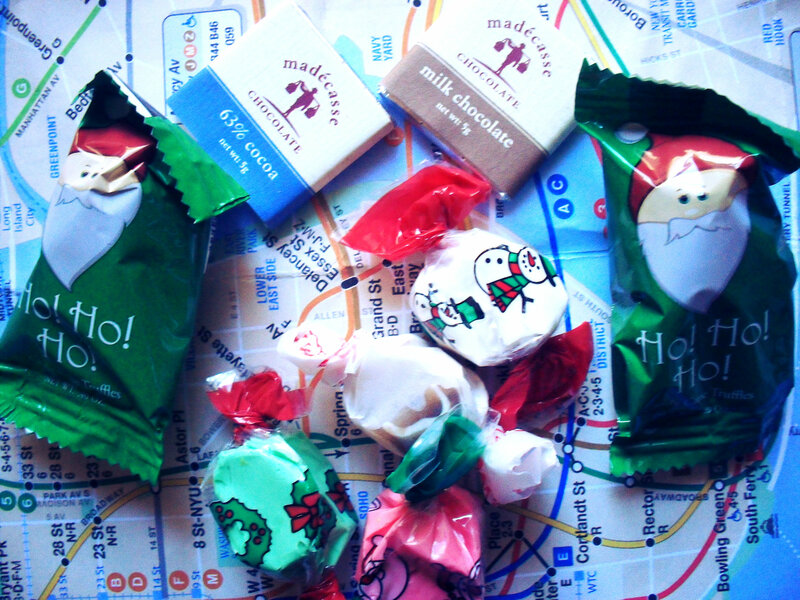 The candy cane truffles from Kara Chocolates were soooo good – I already purchased some from the LwF store! I’ve always been a massive fan of Nutter Butter, so seeing one dipped in Belgian milk chocolate pretty much did it for me. I loved it, and am totally planning on purchasing some in the future (I think they’re already sold out on the LwF shop). I’m saving my Mocha Mint Cappuccino mix for Christmas vacation, but it sounds amazing. The whiter chocolate gingerbread boy was also delish – the white chocolate base melded deliciously with the spicy kick of ginger. It would be absolutely perfect with a cup of tea in my opinion. 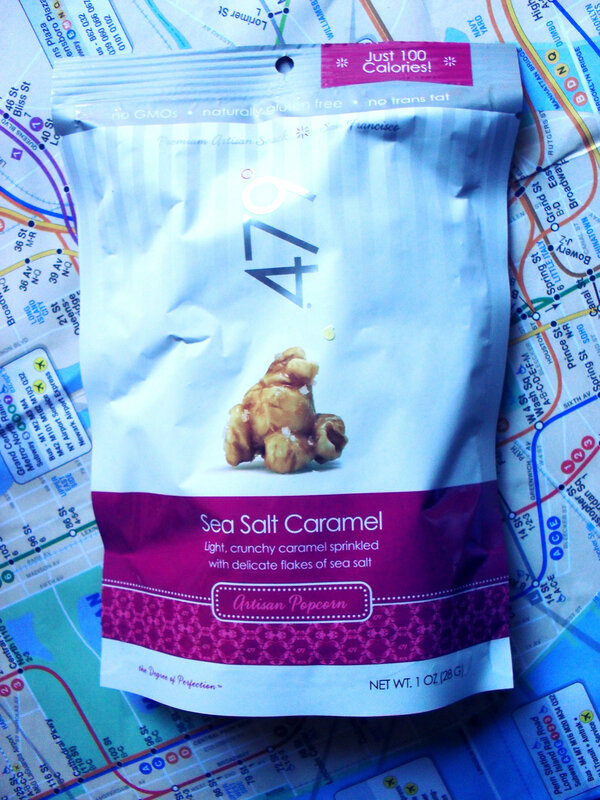 The 479 Fluer de Sel Caramel Popcorn was one of my favorite items from the box – everyone in my family are now massive fans of this light, sweet & salty treat – I can hardly believe that popcorn this yummy is only 100 calories! If you see it in any store near you, please please please try it I promise you won’t regret it! So what do you think? Have you tried any of these products before? Do you subscribe to LwF? What did you think of this month’s box? If you don’t yet have a Love with Food subscription and would love to try it out please click here for more deets and to subscribe! For $10 a month you not only get a box full of yummy treats, but for every box purchased LwF donates a meal to hungry children in America! Makes a great holiday gift as well! Iron Chef Our Way: Strawberries? Previous Post New Posters Released for Oz The Great And Powerful! Next Post The Big Toy Book’s Biggest Day of Holiday Play Event Recap!